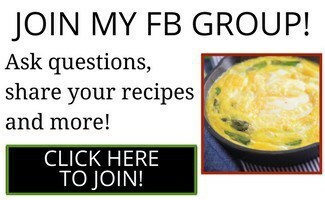 I know I make a lot of recipes from all over the world. I feel like the best way to live, is to experience all the good that the world has to offer us–and food is definitely part of the good that the world offers us. 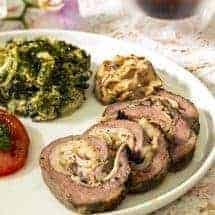 I may deviate while cooking these recipes and not always go the traditional route, like I did with this German Rouladen, however, the concept of the recipe is still the same even if the way I go about it is a little different than tradition calls for. I love knowing where food comes from and how it was created in the first place. Sometimes, knowing the origin of the food will help you understand even more about why or how the recipe is made the way it’s made. 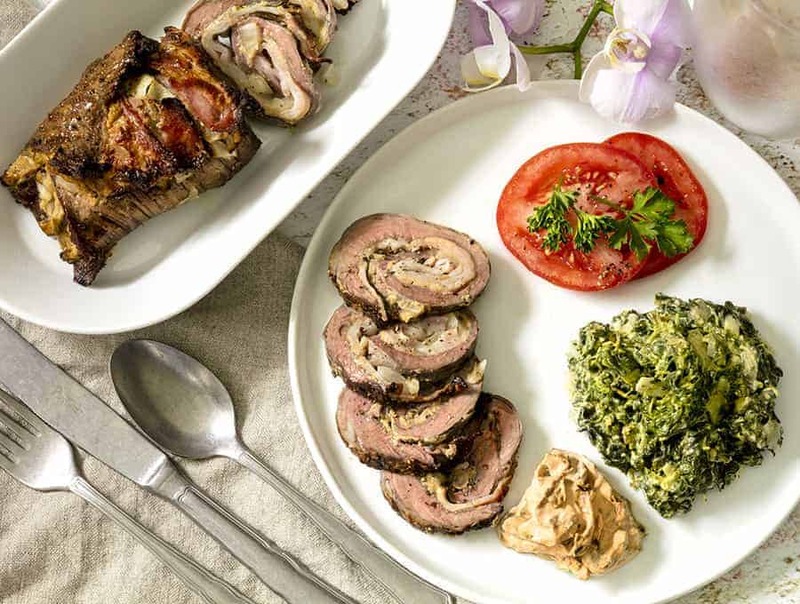 This German Rouladen is a delicious dish that’s a must try. 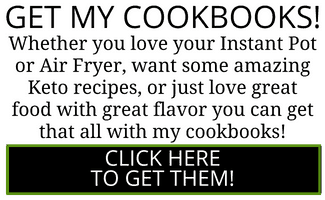 Especially if you enjoy trying deviations of traditional recipes. I mean, meat and bacon, along with other yummies, rolled up into a cute little package—how can you resist? A typical rouladen involves a long, slow braise. This version gives you an entirely new dish, albeit with the same ingredients. It’s a great example of how you can change the taste of foods entirely, just by changing up how you cook them. There is no braising in my recipe. It’s all air fried, and cooked quickly. Given that, I am sure some of you will questio whether I should even legitimnately call this a rouladen, much less a German Rouladen. But yes. I think I will, just because it’s at least a name and a concept that’s familiar to many of us. One of the best parts about this recipe is how filling and full of flavor it is, and that’s on top of it being easy-pluss of course, low carb. Low carb or keto airfryer dishes are not that easy to come by. 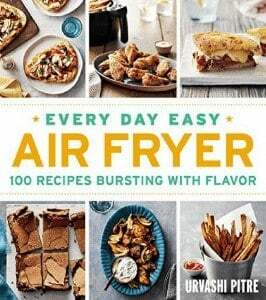 I work hard to make as many of my airfryer recipes as low carb as possible. Looking for other amazing German recipes? 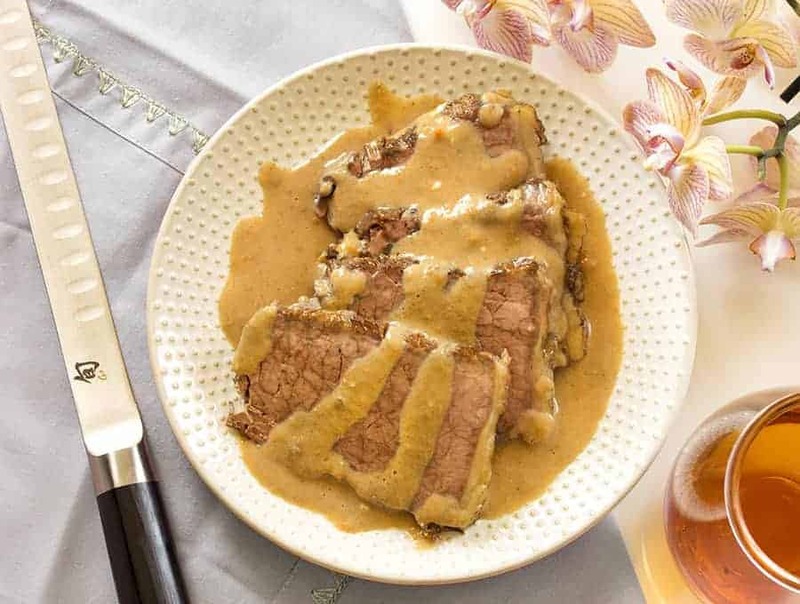 Check out my Instant Pot Sauerbraten. Typically this dish takes hours to make, but thanks to your handy dandy instant pot it’s done in about an hour! 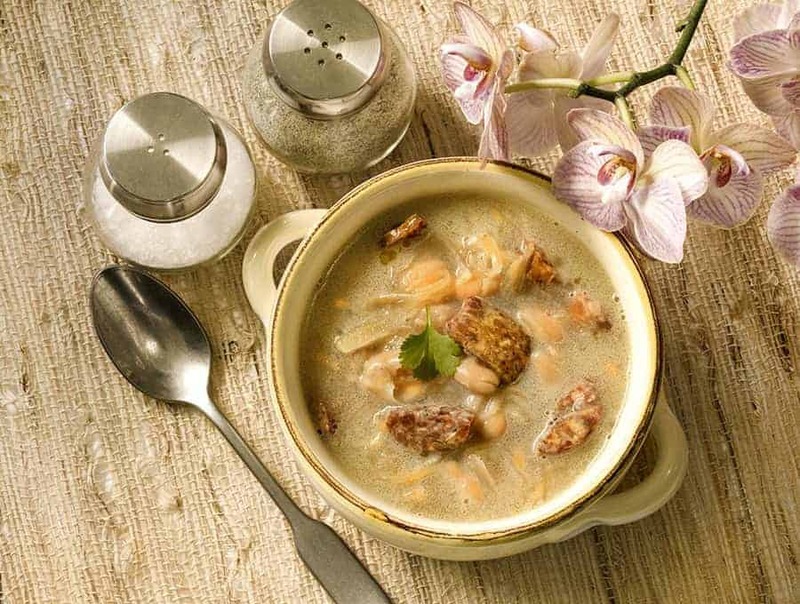 Another delicious German recipe of mine is my Instant Pot Sauerkraut Soup recipe! It’s delightfully filling, gluten free and really easy to make! 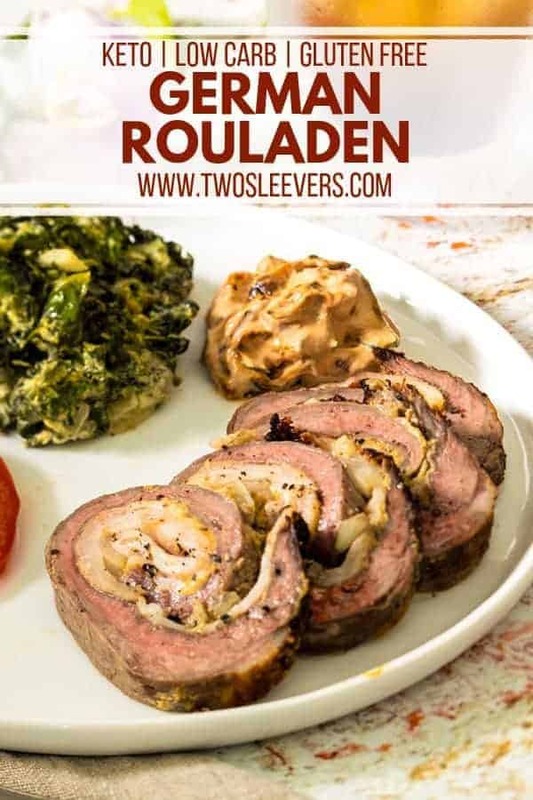 The word “rouladen” is just French for “to roll.” In other words, German Rouladen literally translates into German roll. The origin of this dish is unknown but, it’s always used a cheaper slice of beef and included onions, bacon, mustard, and pickles-almost like steak roll sandwich. However, I have adjusted mine to a different version, so not all of these ingredients are used but, it still tastes absolutely delicious and I think you’ll love it. 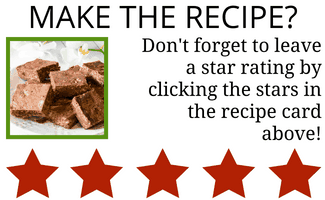 I’d love to hear what you think of this recipe when you make it! 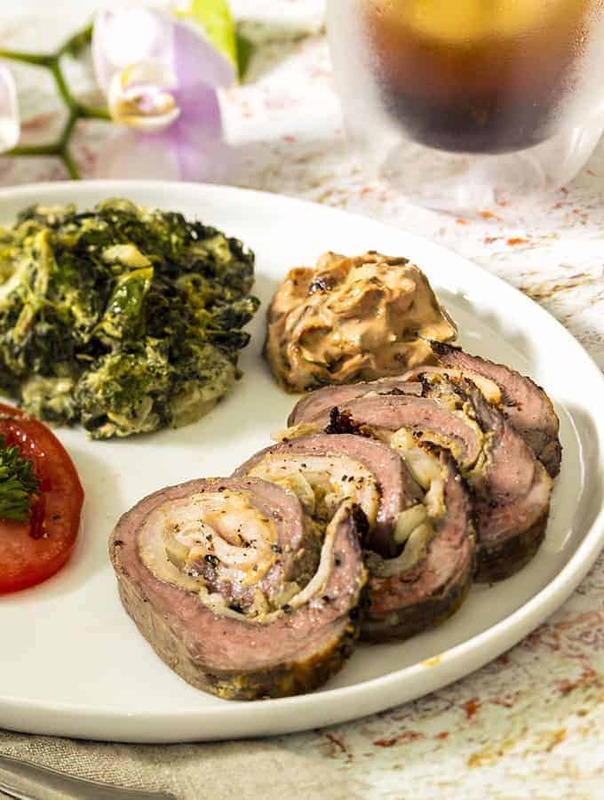 Cooking a traditional German Rouladen in a nontraditional way yields some delicious results! This recipe is cooked in an air fryer and it is both easy, and delicious. In a small bowl mix together sliced onions, 1/2 teaspoon salt and 1/2 teaspoon pepper. Set the air fryer to 400F for 5-8 minutes. When the onions are cooked, set aside half the onions to use in the steak roll. Put the rest of the onions in a small bowl and mix them with the sour cream, tomato paste, and 2 teaspoons of parsley. Add 1-2 tablespoons of water if you need to thin the sauce. For the Rolls: Lightly spread the mustard on the meat. Follow with the bacon slices, reserved grilled onion and parsley. Sprinkle a little ground pepper on top. Roll up the steak as tightly as you can, ending seam side down. Using a sharp knife, cut the roll in half so that you can better fit it into your air fryer basket. Set your air fryer to 400F for 8-10 minutes, or until your steak has reached an internal temperature of 145F. It is critical to not overcook skirt steak, so as to not toughen the meat.